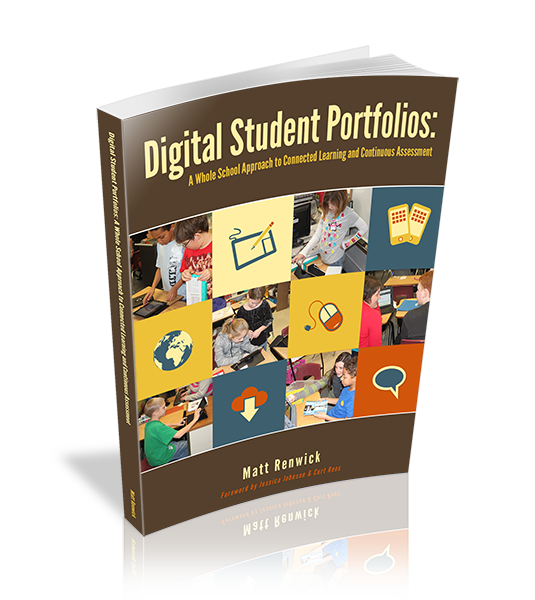 The landing page for my first book Digital Student Portfolios: A Whole School Approach to Connected Learning and Continuous Assessment is up and running! The PLPress staff was remarkably efficient in getting this ready. In this book, I share my school’s story of integrating and embedding digital tools such as iPads and Evernote into our daily instruction. This was not a linear process, and there were definitely ups and downs. But I think that is what makes this resource unique: A realistic look at the rewards and challenges in our attempts to make school a rich learning environment for everyone, both teachers and students. To celebrate the upcoming launch of this exciting book for educators, Powerful Learning Press has extended a $2 discount through July 15. Use the code PORTFOLIOS at checkout to save $2. Go to the PLPress online store to buy now. I look forward to discussing with you the advantages technology and connectedness can bring to our learning endeavors!